What was your favourite moments in the film?? Quotes, scenes anything to do with this film. For me I loved the lantern scene and the most emotional scene I saw was the part where Eugene gets stabbed to death द्वारा Gothel. Favourite quote: आप were my new dream and आप were mine. I loved everything about this movie from start to finish I was hooked but the only thing I was disappointed was that what आप see in the trailer wasn’t even included. 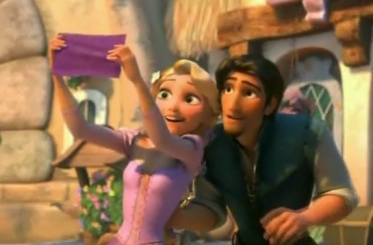 E.g The part where Eugene says Rapunzel let down your and all of a sudden she let her hair down and the horse laughed. Having कहा that it was very good. Yeah I remmber that trailer part where Max laughs at Flynn, that was funny! I wonder why that wasnt in the movie? I have the DVD and watched the whole DVD including the features,it wasn't on there.They showed some teaser trailers but ones I never seen on tv,but that one I was talking about wasn't on there. A very much. Ahw cute scene I too liked that part very much. Ahw cute scene I too liked that part very much. The Kingdom Dance scene. makes me happy every time I watch it. and I see the Light scene <3. I also like the I see the light part. It's soo romantic! too bad. आप should see it, and take my advise and do not be a प्रशंसक of this spot until आप watch the movie, this spot has so many spoilers. आप have to see this its effin brilliant. My favourite scenes are the Kingdom Dance scene (very fun, प्यार the संगीत and I enjoy looking at all the villagers) and the scene where Flynn confronts the guards at the dam. It sounds weird, but I like the scene when Flynn/Eugene escapes from prison. Oh yeah and he says TELL ME NOW.LOL and the midget. Oh gosh, I don't know where to start as the whole movie is amzing! Anyways I have to say "I See The Light" scene is my very favorite! But I also प्यार the scene in the tower where Rapunzel & Eugene किस for the first time! I also like the सेकंड किस during the celberation. 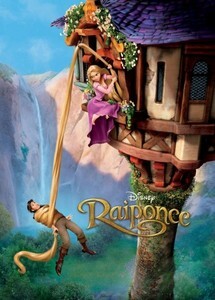 My other प्रिय is where Flynn (Eugene) is tied to the chair with Rapunzel's hair,the camp scene. It sounds wierd but i lke it when flynn/eugene dies. Its Soooooooooooooooo romantic!!! 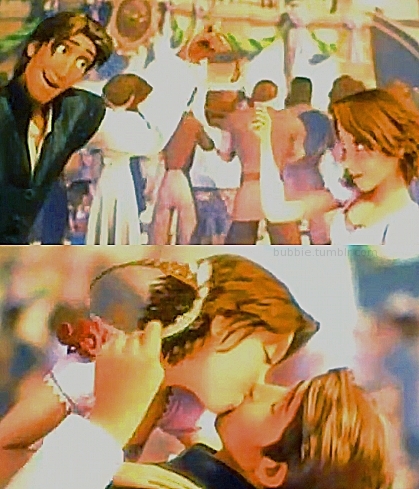 I also like it when Flynn/eugene finds out her hair glows. I प्यार the Lanturn scene. My fave कोट्स were "hey, आप were my new dream....and आप were mine." and "her hair glows, i-i didnt see that comming her hair accually glows WHY DOES HER HAIR GLOW?!?!?!?! I really like all of this movie. My प्रिय scene is the song scene for "I've Got a Dream". Vlad's part always makes me smile. My प्रिय quote is from the fight at the dam, and Flynn is fighting Max, and he yells, "You should know that this is the strangest thing I've ever done!" Wow this is hard, because I loved every moment of it. But I think one of my प्रिय is when, Eugene is freaking out once they got of the flooded cave, like "Why is he smiling at me?" Hilarious, though I also प्यार the lantern scene. Are आप kiding me??? 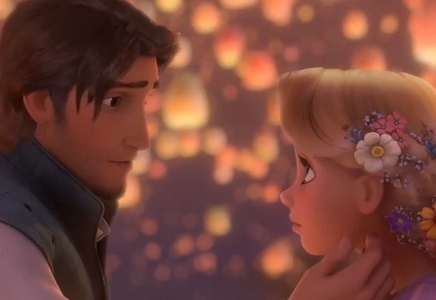 How can I choose only one प्रिय scene in Tangled. I just प्यार everything about it. It so hilarious, so romantic and a little sad but i just प्यार all of them. It's really hard but if i have to choose one of them i'm definitely gonna choose the lantern scene_it could be the best animated movie scene i have ever seen. 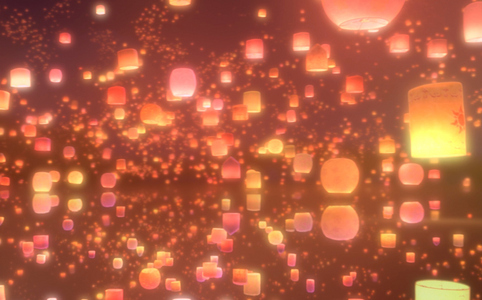 Imagine 46000 lanterns floating in front of you, how cool is that. And the song I see the light was amazing. Who knew a thief could sing so well like that, i really like Zac's voice and Mandy's voice. They fit in so well with the song the movie and I can't stop listening to that song. I'm just a little dissapointed when they didn't किस each other in that romantic view. But that could be the reason for them किस each other at Rapunzel tower. टैंगल्ड is so cool. I do really like the meeting part. They are cute and funny. Plus I loved the smoulder sight. I think this is one of the best animated film I 've ever seen. I enjoyed also the Kindom dance part and the last scene. But, thruth be told, I loved all the characters! Mother Gothel is really evil and Maximus and Pascal, even they can't talk, are hilarious! It's a humor I 've forgotten. But now, it's back! प्यार this movie! !